Guide price is per person. Based on 2 people sharing for 7 nights on Bed & Breakfast. Departs from selected UK airports. Please call for more details, dates and durations. 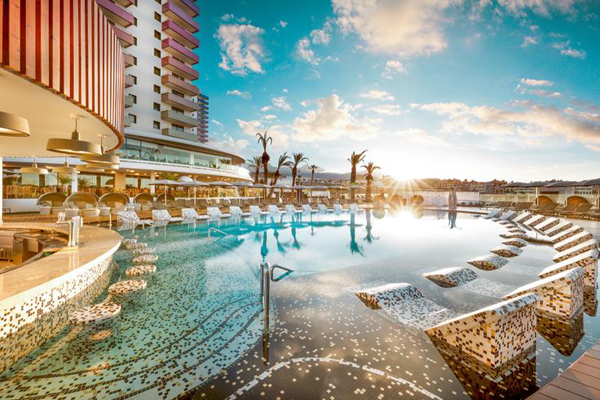 Hard Rock Hotels have landed in the Canaries, more specifically at Playa Paraiso in Tenerife. 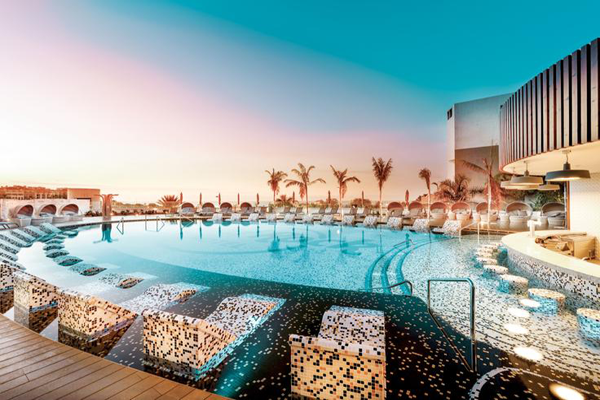 As with other hotels in the chain, Hard Rock Hotel Tenerife has a real eye for detail in everything, from the fantastic spa to the superb music memento’s throughout the hotel. You can live the dream like your favourite rock star at one of the many DJ sets, live concerts or themed party. 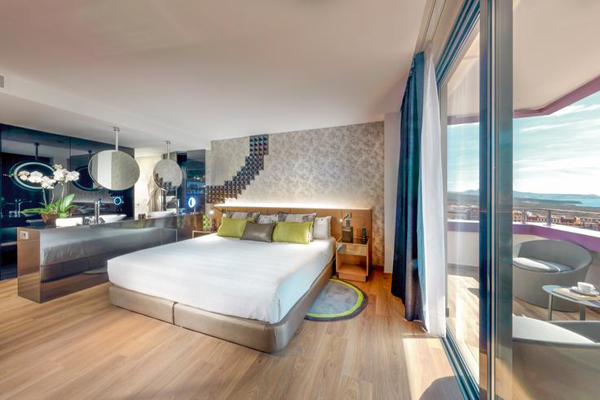 The fabulous rooms are very modern and come with state of the art music systems to enjoy your favourite tunes. 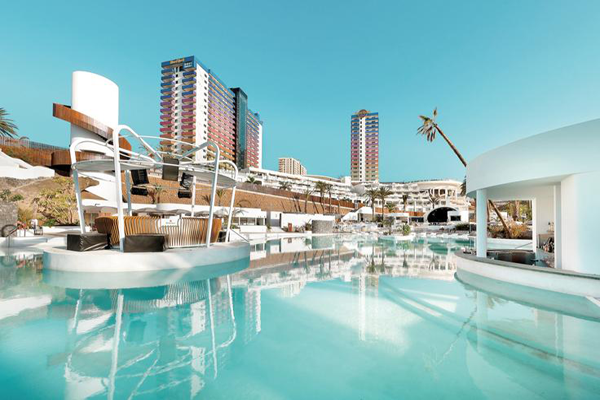 There are three pools to soak up the sun and a choice of bars and restaurants to try on an evening. BOARD BASIS: Bed & Breakfast or Half Board. 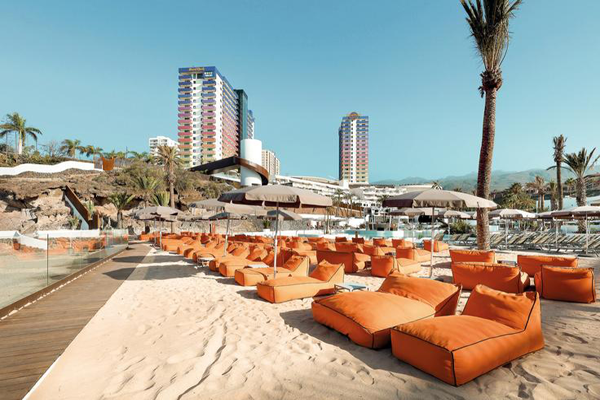 All Inclusive Plus available for Summer 2019. LOCATION: 100m from a rocky cove with some volcanic black sand areas • Within walking distance to a small selection of bars and restaurants • 10km to the El Duque area of Costa Adeje. FACILITIES & ACTIVITIES: Three outdoor swimming pools including one lagoon-style • Sun terraces with sunloungers and parasols • Pool/beach towels • Six restaurants including buffet, Asian, tapas and steak • Six bars including pool, beach and sports bars • 24hr room service • Diving centre • Paddle boarding • Waterpolo • Beach volleyball • Football • Basketball • Tennis court • Two squash courts • Aquaerobics • Aerobics • Zumba • Yoga • Pilates • Gym with personal training • Rock Spa with indoor and outdoor swimming pools, ice, sauna and steam rooms • Billiards • Table football • Hotel-run kids’ clubs (6mths-3yrs, 4-11yrs, 11-17yrs) • Kids’ pool • Virtual gaming area • Cots • Highchairs • Concert area • The Sound of Your Stay • Free Wi-Fi • Concierges • Rock shop • 24hr reception • Laundry and ironing services. ACCOMMODATION: Deluxe silver rooms (two people) have a king-size or twin beds, individually controlled air conditioning, 42 inch flat-screen television, mp3 docking station, minibar (payable locally), tea and coffee making facilities, Wi-Fi, safe, bathrobes, slippers, hairdryer, bathroom with rain-effect shower and balcony or terrace. AVAILABLE AT A SUPPLEMENT: Deluxe gold rooms with sea view • Silver suite studios with living area with sofa bed, whirlpool bath • Gold suite studios have glass enclosed whirlpool bath with sea view • Silver single parent rooms.